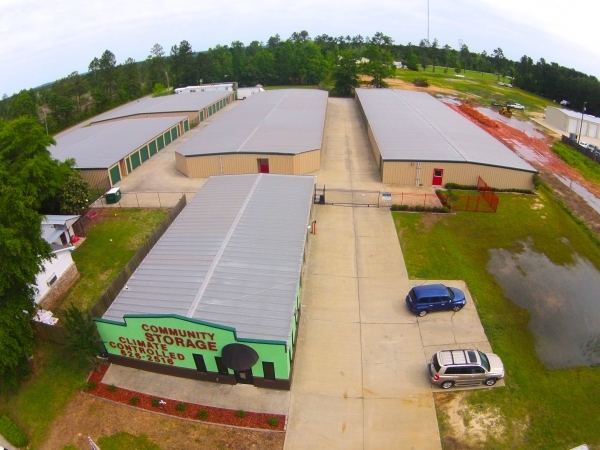 Our facility in Spanish Fort, Alabama features climate-controlled and non-climate controlled self storage units ranging in sizes from 5â² x 5â² to 15â² x 50â². We provide 24 hour access to our mini storage units via an electronic keypad gated entry. Our extra large self storage units perfect for business, car, boat, or RV/camper storage. We also have DVR cameras installed in key areas of our property. Our small to medium sized storage units (or âmini storage unitsâ) are commonly used to store household items, such as small furniture, garden tools and appliances. They are ideal for businesses in need of file storage, inventory storage, or office supply storage. They are also great for businesses in need of space to store excess inventory. TSS Spanish Fort is now offering fully enclosed Auto/Boat/RV storage with metered electricity. These units are also great for commercial/industrial storage to store things like large industrial equipment or construction materials. There are wide driveways for easy access and concrete floors. Unlike most of our competitors, we staff a phenomenal team of facility managers that work on site 6 days a week. Our property manager, Nicole, as well as our assistant managers guarantee to give you the most affordable rates and the best customer service experience in Spanish Fort! 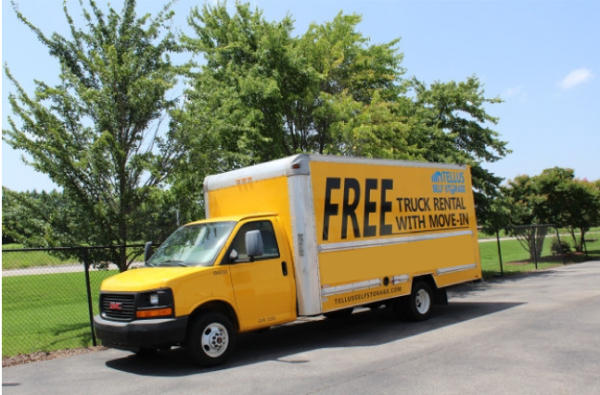 Call them today to find out more about renting a mini storage unit, our special offers, renting our free move-in truck, or how to make a payment. 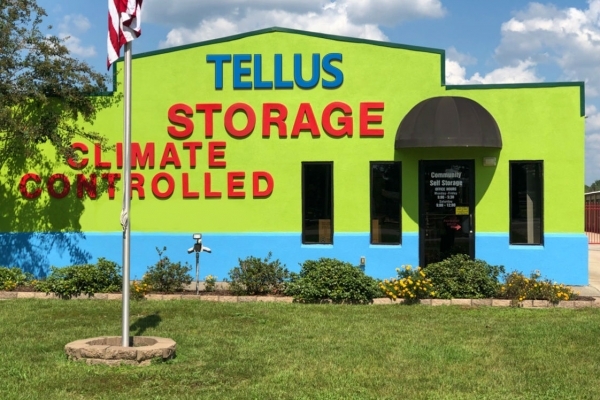 Tellus Self Storage - Spanish Fort, AL also manages: Air Control Self Storage 30961 Bryars Lane Spanish Fort, AL 36527 Directions: Tellus Self Storage - Spanish Fort, AL is located North of I-10, take the Malbis exit North on 180. Take 180 to 31, then take a right, travel one mile and we are on the left. The unit is clean, and convenient. The pricing is appropriate, and the customer service has been amazing this far! Very easy to work with, units clean, convenient. Nicole was easy to communicate with . Out of state move made so easy. Thank you . Will recommend. This facility is the cleanest I have ever encountered. And as for customer service, the office manager is very professional, friendly, and very very patient, we had many questions and concerns and she patiently listened to our rambling and gave us the feedback and answers we needed. Thank you so much!! The manager at the office is great!! She was so helpful and answered all of my questions with patience. Great overall service!!!! Thanks for all your help! Most friendly storage place ive experienced. The cleanest place I've rented from. Great price. Very clean unit. Friendly and helpful staff. Your representative was incredibly helpful and professional. A wonderful experience. Will recommend to others. The manager(I'm guessing) was great, she explained everything to me and was very friendly and helpful. The one thing that i didn't like was that the inside units are accross the street and their lock code thing didn't work for some reason, which makes me wonder if my things are safe. They stayed late to get the job done. I came in late in the day on a Saturday after speaking with them in the week on the phone. Coming from out of town I felt bad showing up late; they made me feel at home. Sandi stayed over found a unit that met my needs and a fair price. She stayed until we completed our transaction and I was able to move in that Sunday afternoon. I am combining two storage buildings to your facility and look forward to a long relationship. Thank you Sandi for making me laugh and feel at ease that day. Very please with the facility; very clean and easy to get in and out of the unit. We are moving from Birmingham to Fairhope later this year and were looking for a storage unit on line. Everything we looked at was a much higher price or booked up. We reserved on line and were very pleased with our 10 x 20 climate controlled unit. The paper work was explained clearly and it was quick and easy to finish. Tip: Have your Home Owners insurance declaration page with you to speed up the process; you must have insurance or buy theirs. Try to move in or out on a week day if possible, much less crowded - in fact we were the only folks there on a Friday morning. Overall, very pleased.